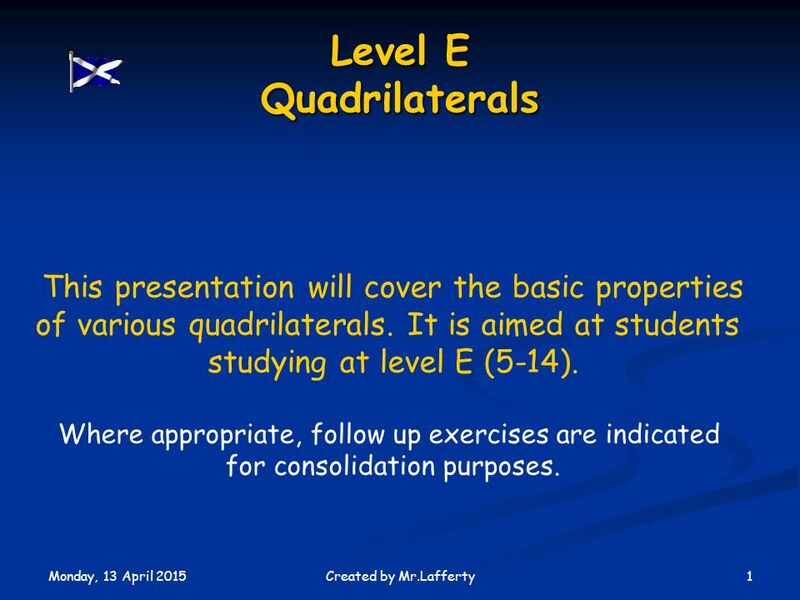 Monday, 13 April 2015 1Created by Mr.Lafferty Level E Quadrilaterals This presentation will cover the basic properties of various quadrilaterals. It is. 1 Monday, 13 April 2015 1Created by Mr.Lafferty Level E Quadrilaterals This presentation will cover the basic properties of various quadrilaterals. 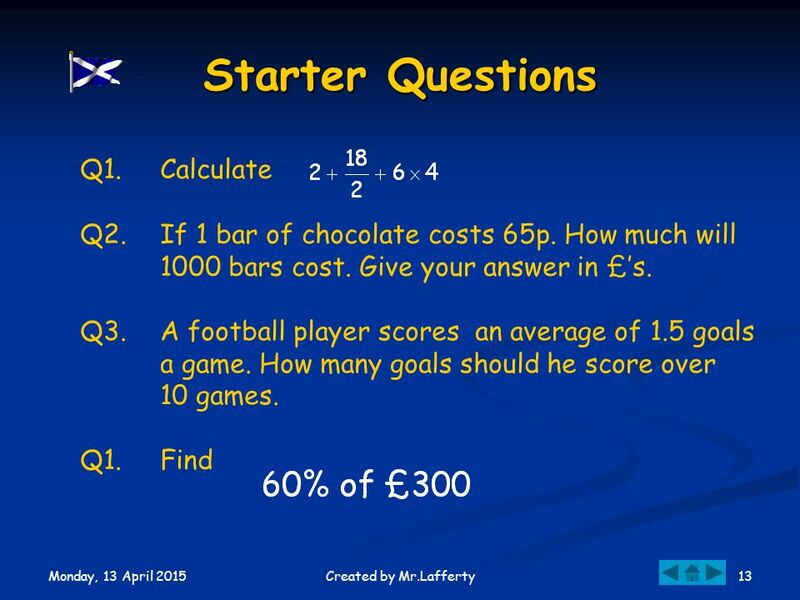 It is aimed at students studying at level E (5-14). 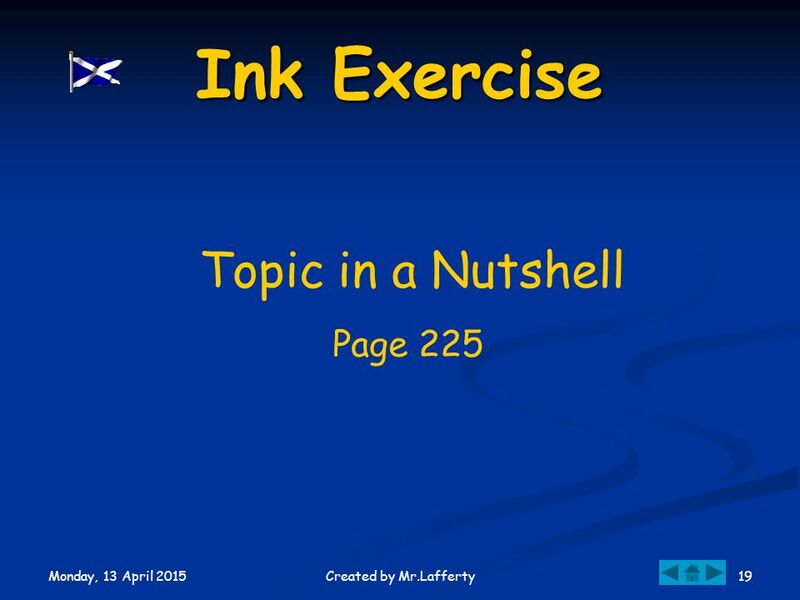 Where appropriate, follow up exercises are indicated for consolidation purposes. 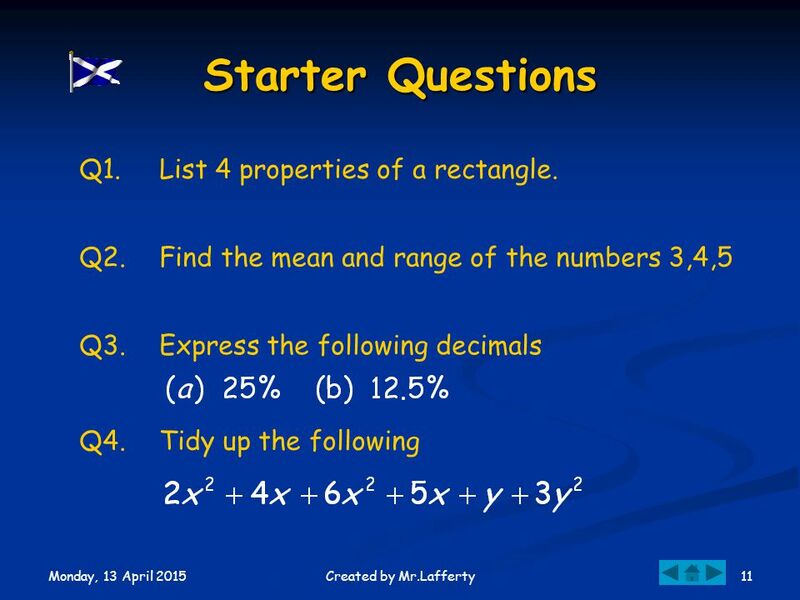 Download ppt "Monday, 13 April 2015 1Created by Mr.Lafferty Level E Quadrilaterals This presentation will cover the basic properties of various quadrilaterals. It is." 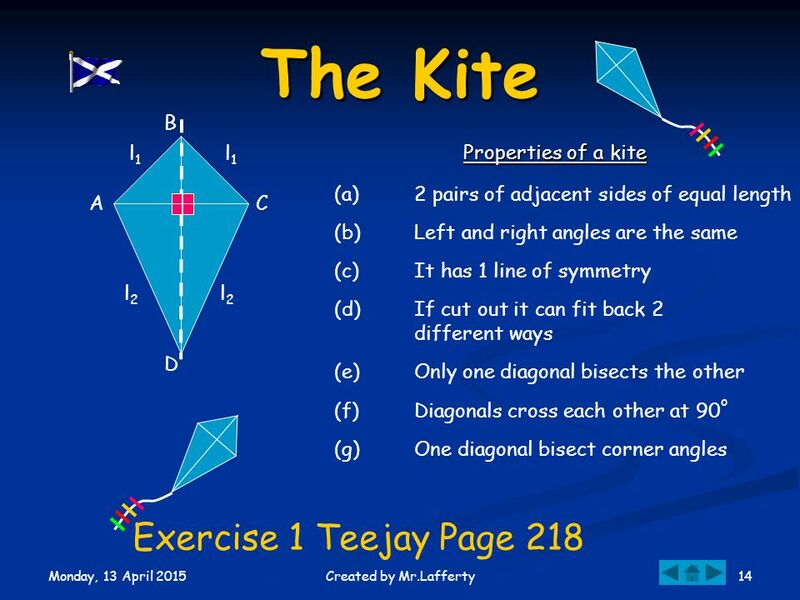 Parallelogram A quadrilateral with both pairs of opposite sides parallel *opposite sides are congruent *opposite angles are congruent *diagonals bisect. 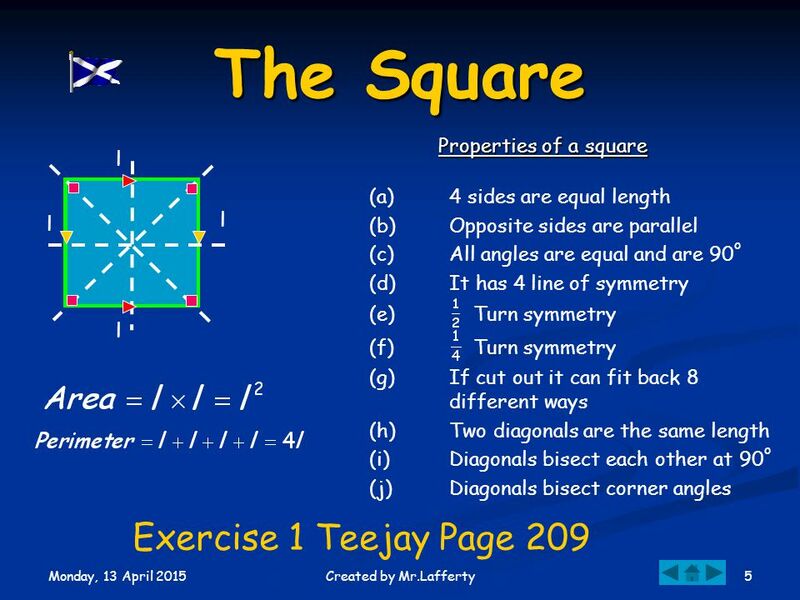 Math 310 Section 10 Quadrilaterals Review. 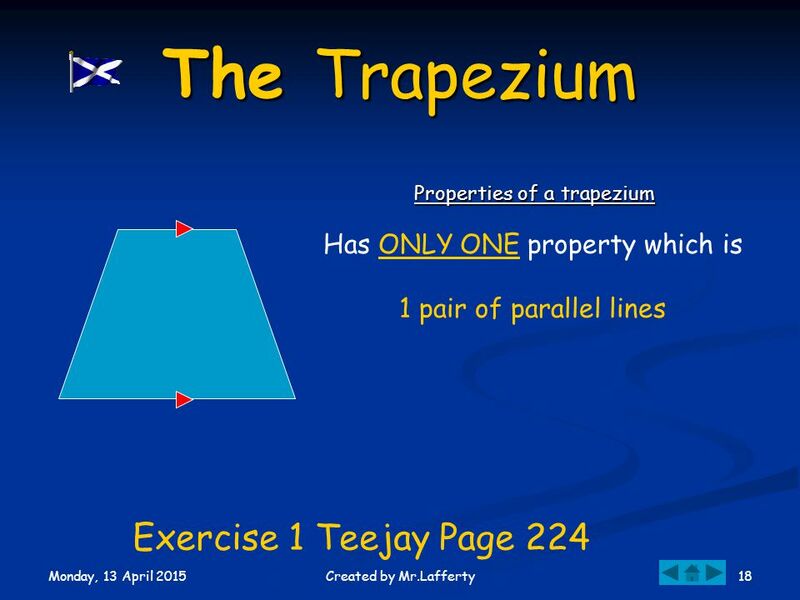 Trapezoid Definition: A quadrilateral with a pair of parallel sides. Special Notes! 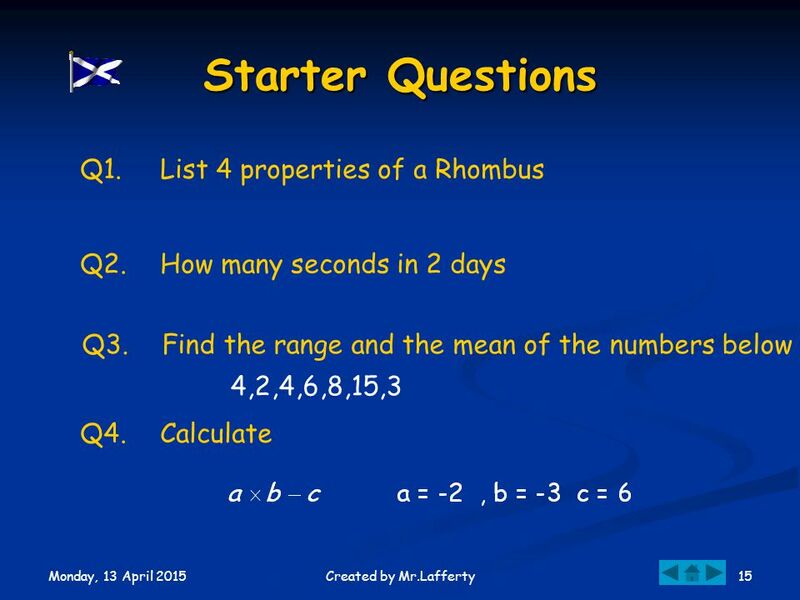 All the properties of a. 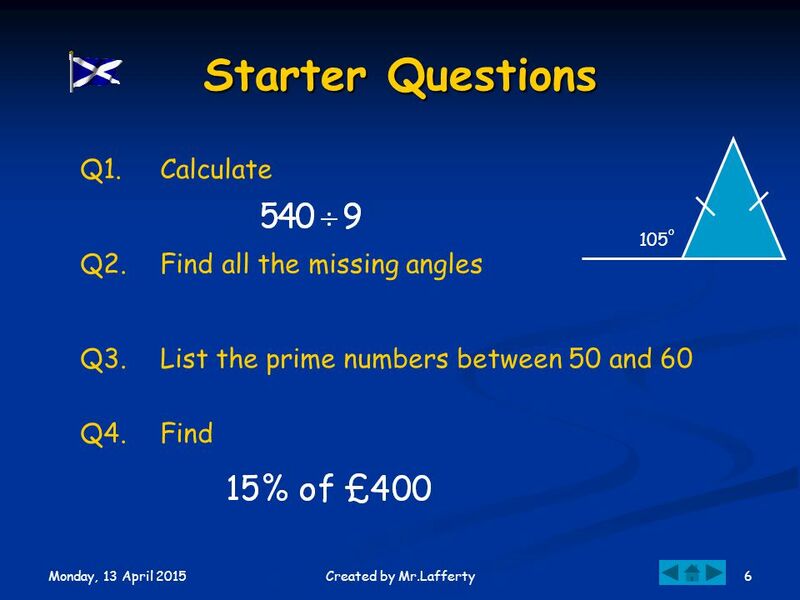 4-Aug-15Created by Mr.Lafferty Math Dept Revising Basic Angles Naming Angles Finding Missing angles Angles in a Triangle Corresponding. 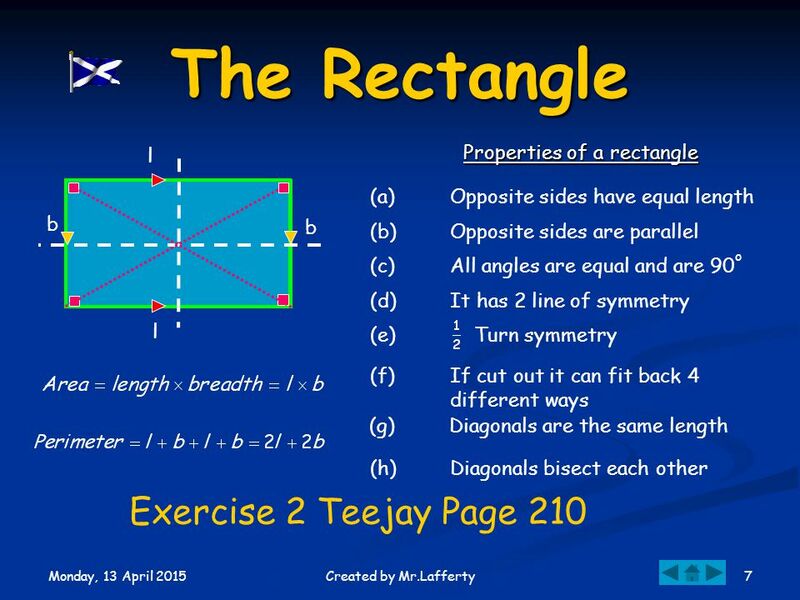 1 MADE BY NORBERT GAUCI Class AREA OF A PARALLELOGRAM Its opposite sides are parallel. Opposite sides and opposite angles are equal. Its diagonals. 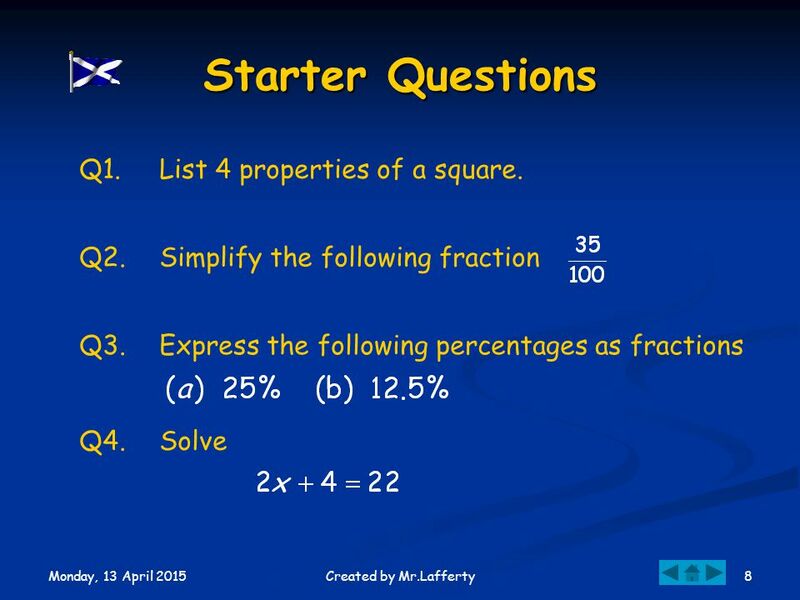 D i f f e r E n t types of QUADRILATERALS D i f f e r E n t types of QUADRILATERALS. 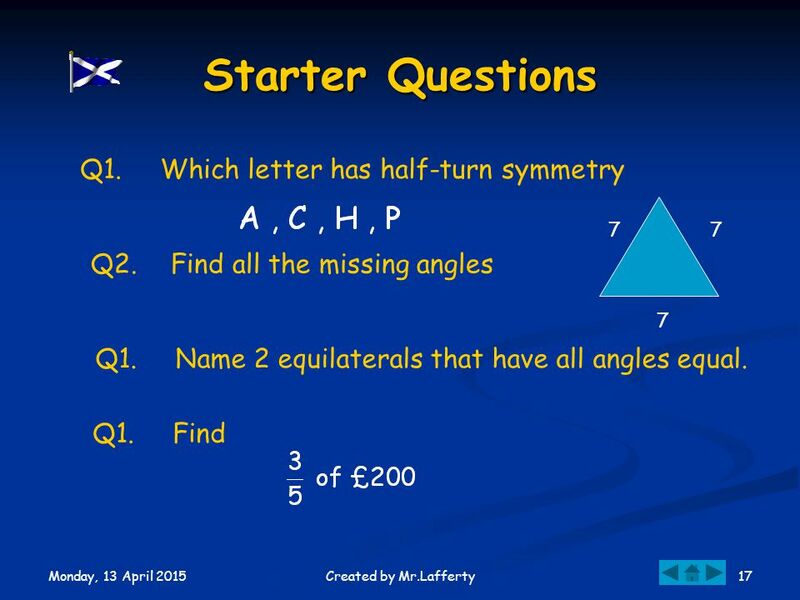 All about Shapes Ask Boffin!. 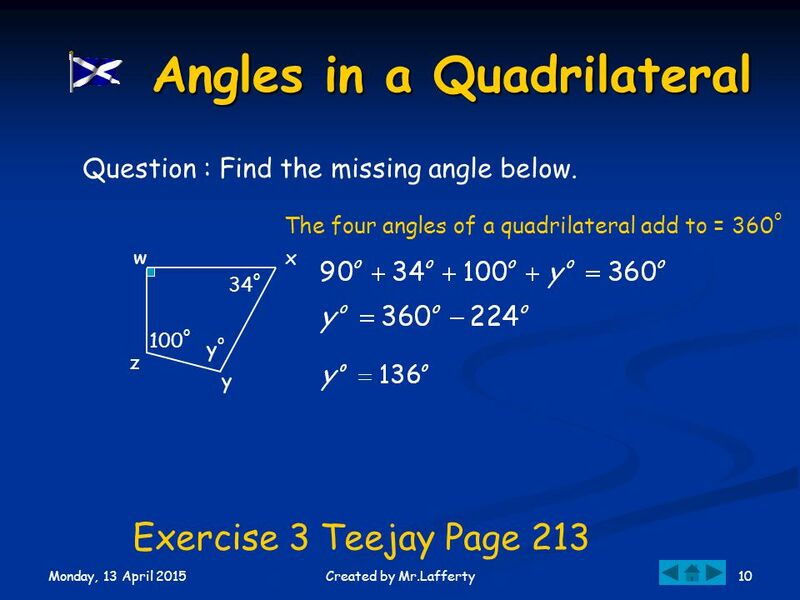 CHAPTER 23 Quadrilaterals. 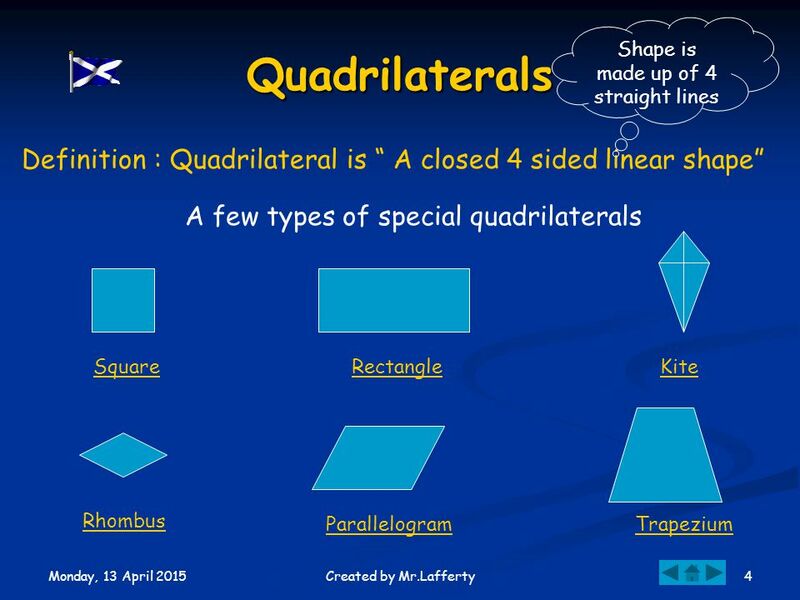 Special Quadrilaterals 1. 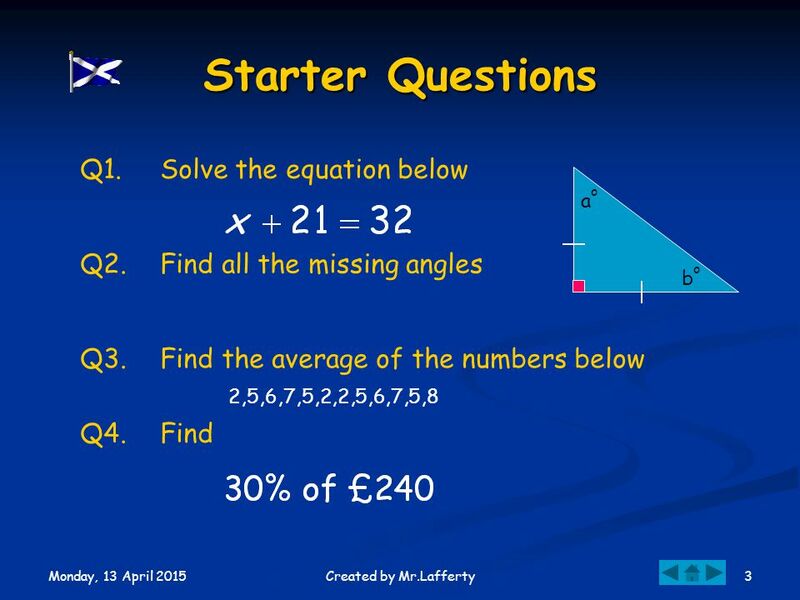 Square a) All sides are the same length b) All angles are the same size (90°) c) Its diagonals bisect. Quadrilaterals Shapes with 4 sides! 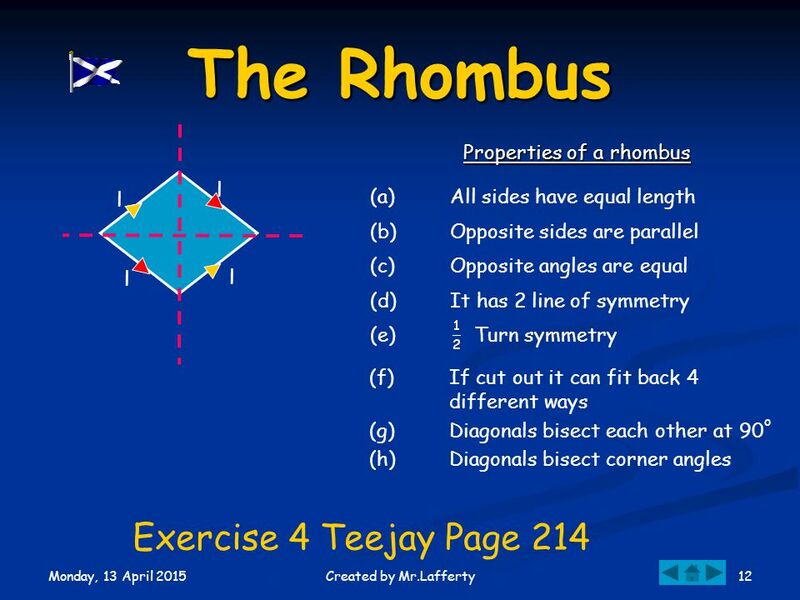 We are all quadrilaterals. We all have 4 sides. Remember just like a quad bike. Geometry The shape of things to come…. 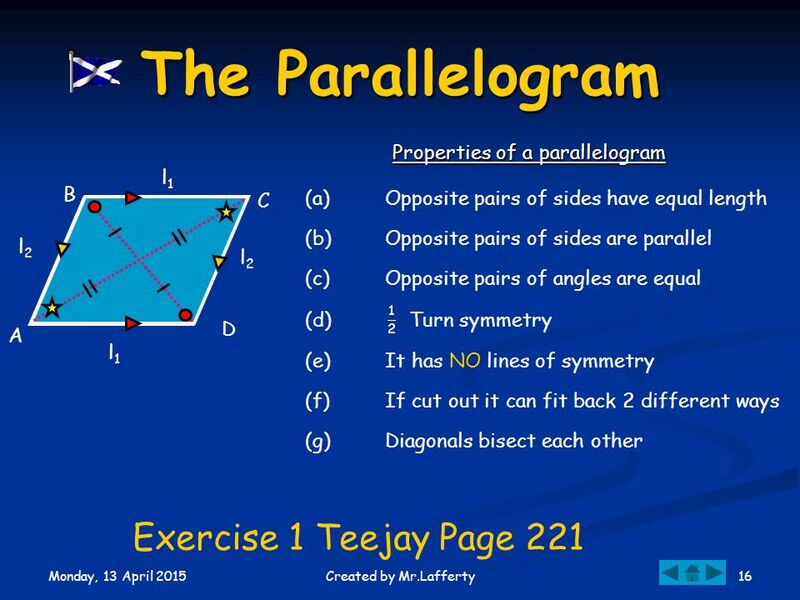 Parallelograms Unit 8.2. 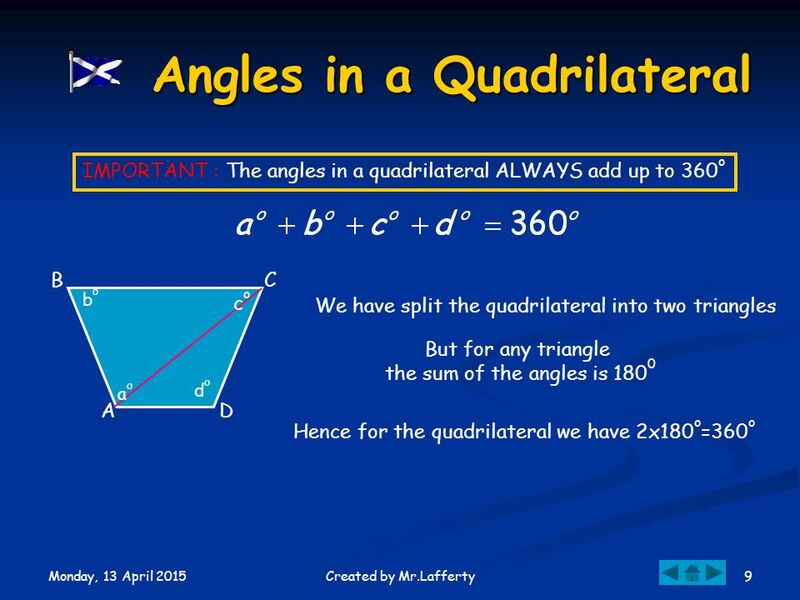 What is a parallelogram Definition: a parallelogram is a quadrilateral with both pairs of opposite sides parallel.